Jugaad can be taken too far! 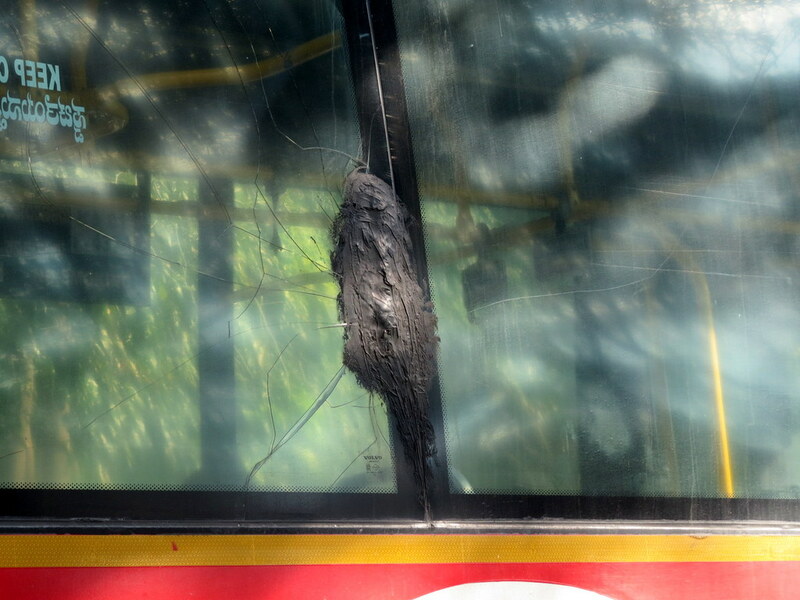 I saw this “repair” of a broken window on a Vajra (Volvo) bus. Jugaad, or creative solutions, are all very well, but does BMTC really not have money to repair a bus properly, and have to resort to ugly solutions lik this?